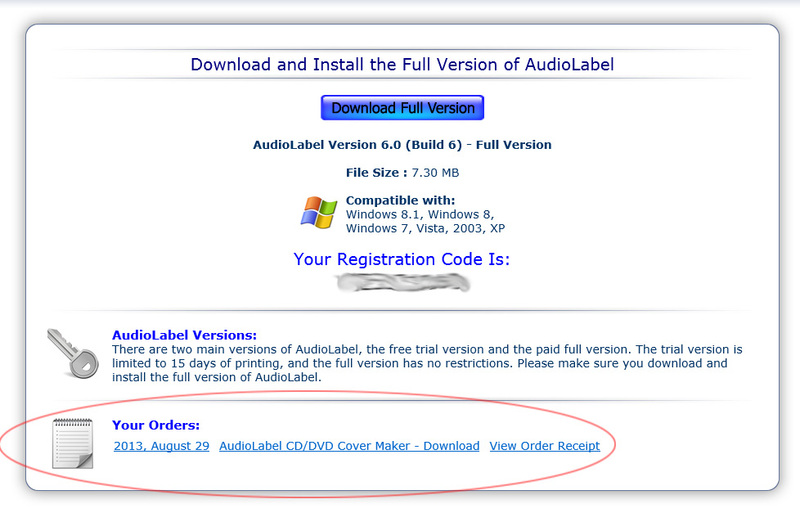 "Order Complete - AudioLabel Version 6.0"
"Order Complete - Upgrade to AudioLabel Version 6.0". If you purchased AudioLabel using PayPal, the order receipt was emailed by PayPal. You can also log into PayPal, find the order and print a receipt. I was able to lookup your email address, and have emailed the link to your printable receipt. I've also lost my receipt of purchase. I believe i purchased the AudioLabel software in November last year. If the purchase doesn't show under the email address used to join these forums please email me and i'll provide the other possible addresses. I do not want to list them here in the forum. Since your request, we have put a section called "Your Orders" on the ful version download page (as shown above). I have also looked up your email address and sent a link to an order receipt.